Even a well-constructed home can have several issues and tackling these issues by modifying the existing space or adding to it requires quite a bit of planning and execution. What is needed to transition an old home to the current times. To accomplish these goals, you need to come up with a clear design, accommodate the needs of the client, arrive at the cost and schedule the work. 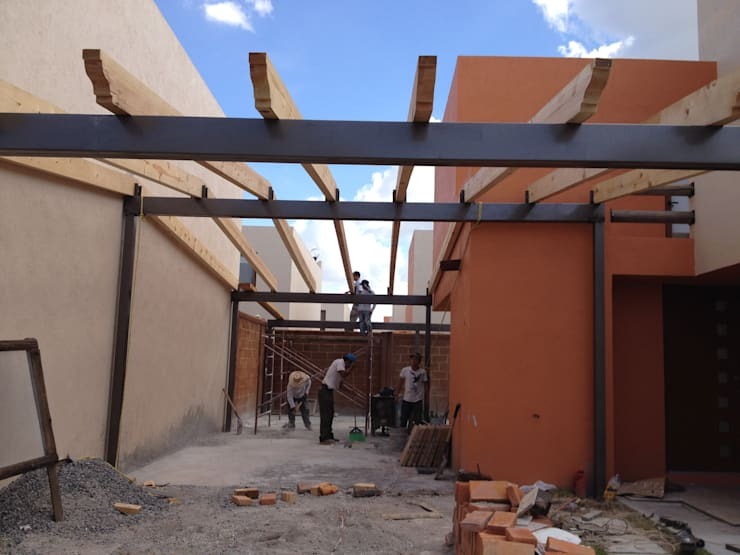 The current property which has been finished by the Puente Group of architects in Santiago De Queretaro, Mexico is a great combination of functionality and comfort. 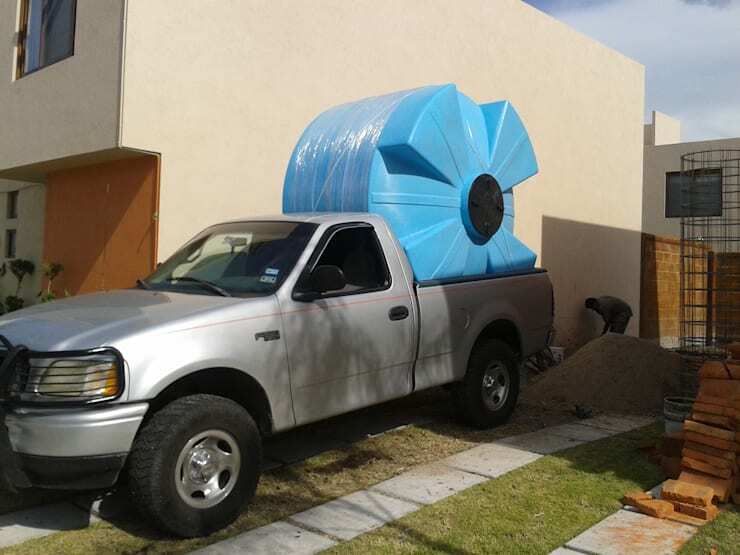 A cistern and a garage have been added to make this space complete. 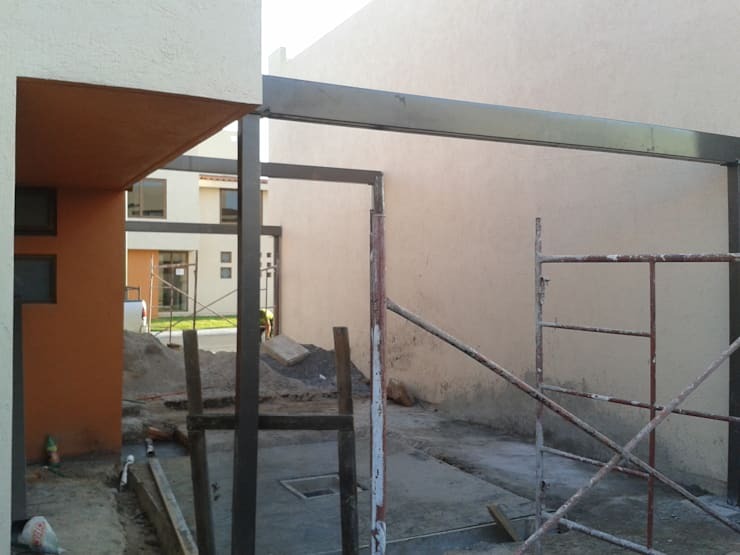 A metal frame is installed which acts a base for the cover of the garage makes the place protected and comfortable for the owners. 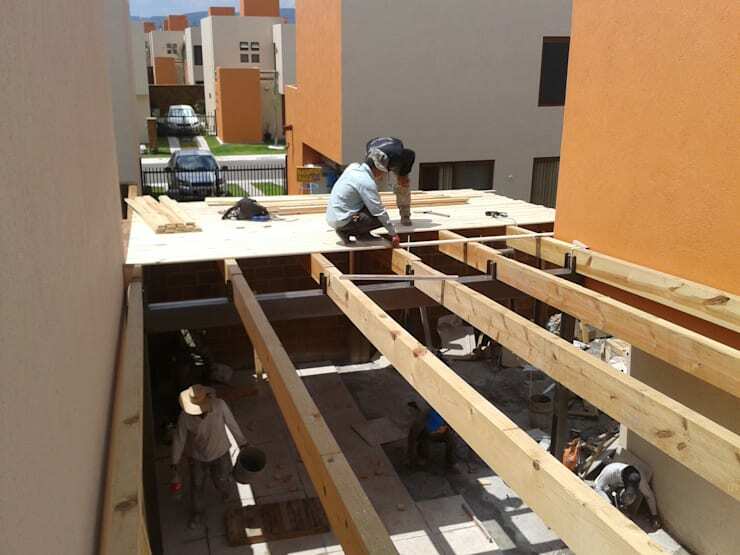 All projects need to be begun by preparing the premises and adapting it to the changed architecture. While bearing in mind the basic functions of this minimalist house, making any structural changes or masonry without planning it can cause trouble later. 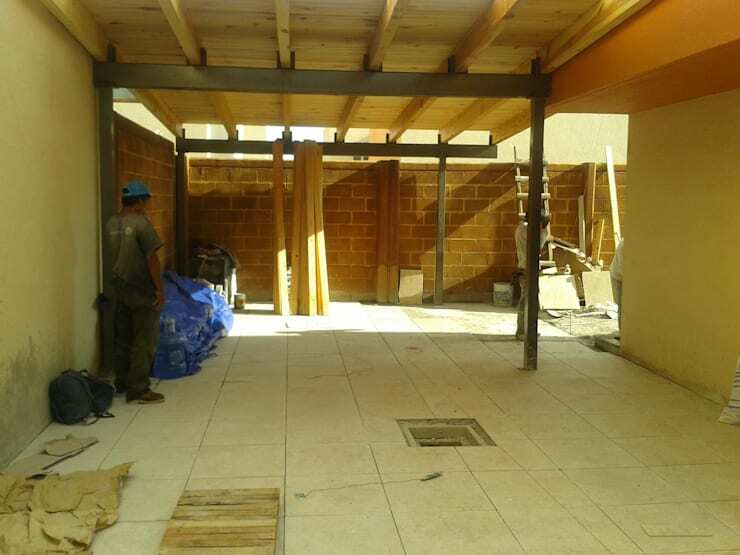 Having all the men and materials you need ready to go to the constructions site can really help you to complete the job on schedule. All possible underground work should be well-planned in advance so it is accomplished as planned. 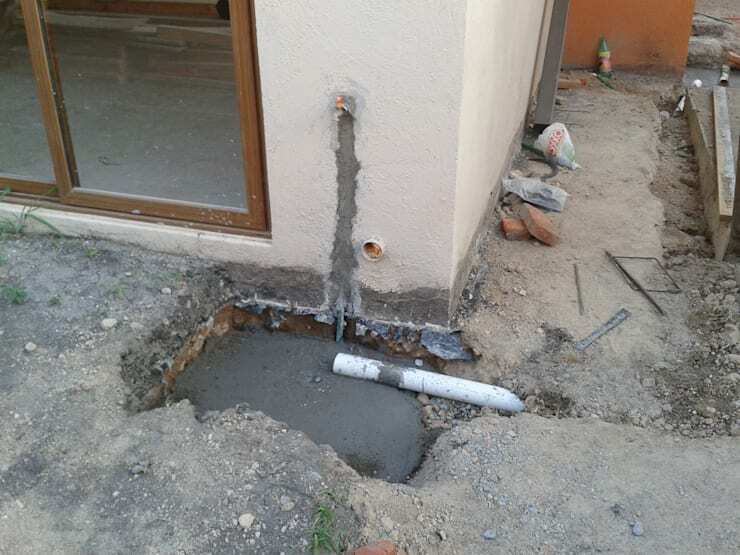 For instance, the underground rainwater tank has been placed and the support structures for the gates have been installed as well. 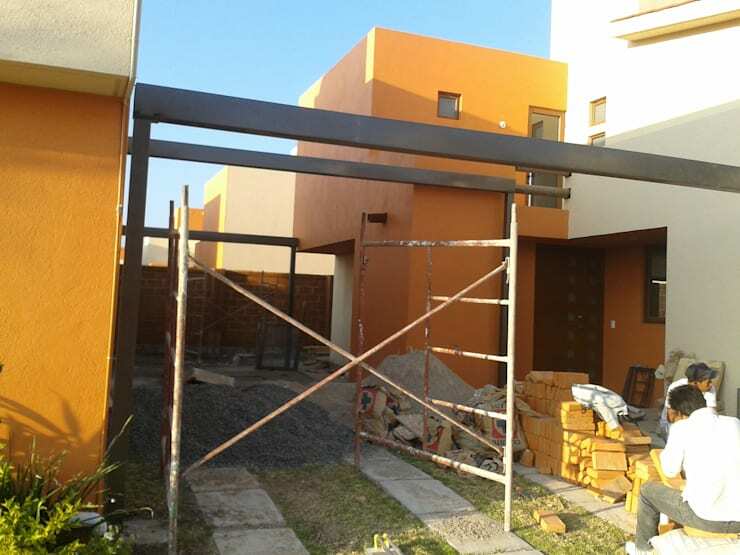 Scaffoldings are an essential part of constructions. 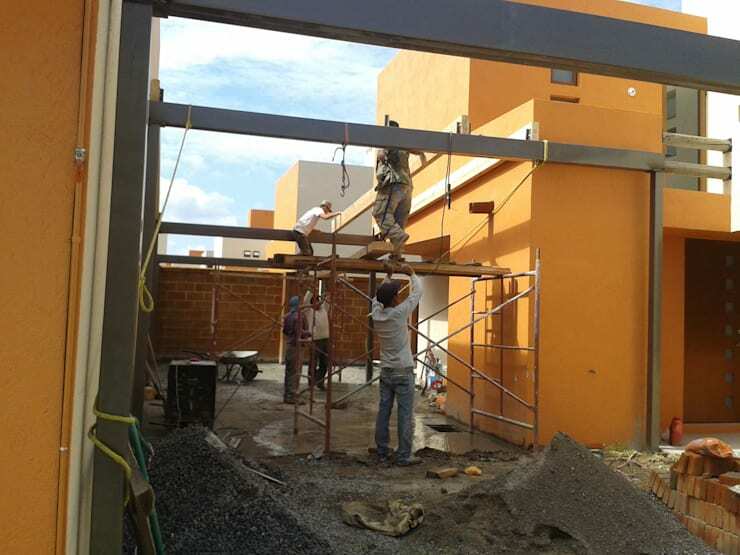 While they allow you to reach higher spots in the construction areas, it can increase the security for the workers. 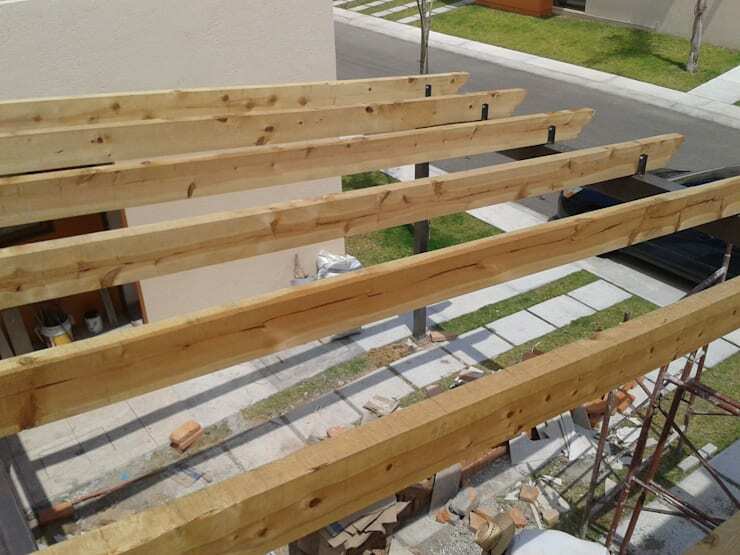 Once the scaffolding has been put in place, it has become possible to install the wooden beams in the correct manner. This will form the basis for the cover of the garage. 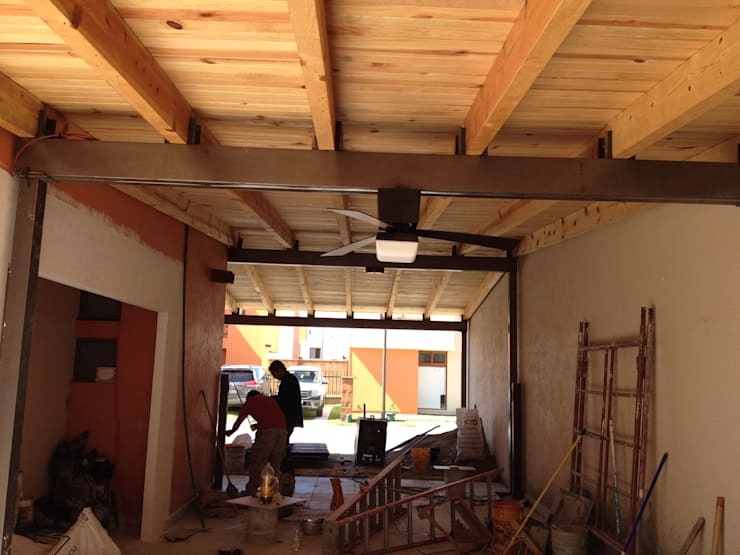 The wooden beams were put in place using metal structures to ensure its strength and durability. The plywood sheets form the ceiling for the garage. Nails and sealants are used to ensure the ceiling maintains its shape and strength. As a result of the extra planning and measuring, the ceramic tiles are laid down to a perfection. A small leeway has been made for the underground tank so that it can be used when and if required.